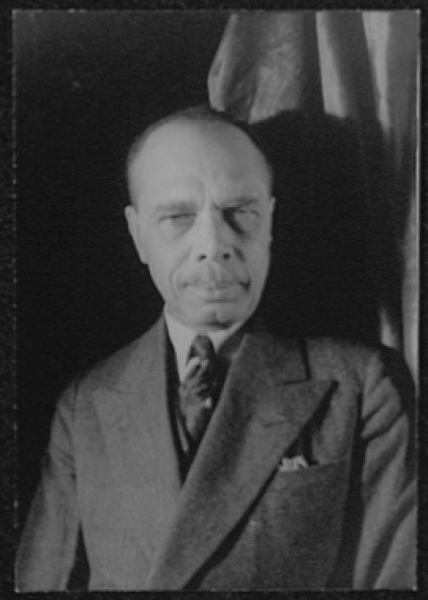 James Weldon Johnson (1871 – 1938) is, without exaggeration, the single most accomplished person ever to come from Jacksonville or Florida. Among other things, the LaVilla native was Florida’s first African American lawyer after Reconstruction; the principal of Stanton, which he converted into Florida’s first black public high school; a U.S. Consul to Venezuela and Nicaragua; the first African American head of the NAACP; and a respected university professor. But even without these accomplishments, Johnson would have secured a place in history for his literary output. The St. James Hotel. Courtesy of the Library of Congress. Johnson was born in Jacksonville in 1871 during the Reconstruction period when the federal government worked to protect the rights of newly freed African-Americans across the South. His mother was Bahamian immigrant Helen Louise Dille and his father was James Johnson, the head waiter at the St. James Hotel. His brother was noted musician John Rosamond Johnson. Johnson grew up in the town of LaVilla, later annexed by Jacksonville. His childhood experience of the city was of a comparatively tolerant place where African Americans could advance and prosper. Johnson attended Atlanta University at the age of 16 and then returned to Jacksonville where he served in various high-status positions. In 1895 he founded the Daily American, Florida’s first African American-oriented newspaper. In 1897 he was admitted to the Florida Bar, becoming the first black Floridian to pass the Bar since Reconstruction ended. He also served as principal of Stanton School, where he spearheaded the effort to add a high school, the first in the state to serve African Americans. 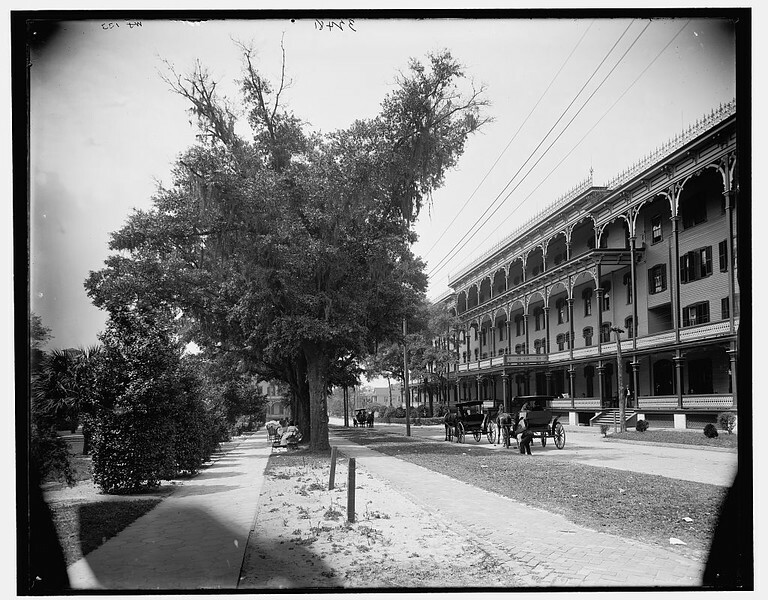 In 1901, the Johnson brothers relocated to New York, partly due to declining conditions for African-Americans in Jacksonville as the white Southern establishment systematically eroded the gains of Reconstruction. Johnson himself was almost lynched after a crowd saw him in Riverside Park with a light skinned female journalist they assumed was white. Johnson later lamented that Jacksonville, once “known far and wide as a good town for Negroes,” degenerated into a “a one hundred percent cracker town.” Johnson lamented the changes in his hometown, but rose to new prominence in New York, where he and Rosamund became Broadway songwriters and founding figures in the Harlem Renaissance. In 1906, Theodore Roosevelt appointed Johnson to the U.S. Consulate. He served in Venezuela from 1906-1908, and in Nicaragua from 1909-1913. During his appointment in Nicaragua, he married civil rights activist and arts patron Grace Nail, a fellow Harlem Renaissance luminary. Johnson’s diplomatic position enabled him to pursue his literary ambitions. In 1912, he published The Autobiography of an Ex-Colored Man, which despite the title, is actually a clever work of fiction. The novel follows a light-skinned narrator who can pass for white through a series of exploits around the world as he tries to discover his roots. After witnessing a lynching in Georgia, he decides to disguise his heritage and marries a white woman. Brilliant and provocative, the novel is a landmark of American modernist literature. Johnson’s life in Jacksonville looms large throughout the work: the “Ex-Colored Man” is based on Jacksonville native Douglass Wetmore, who similarly could pass for white. One memorable chapter finds the narrator in Jacksonville, where he comes into his own working in a Cuban-owned cigar factory. Johnson’s civil rights activism included a long association with the National Association for the Advancement of Colored People (NAACP). In 1920 he was chosen to head the association as executive secretary, the first African American to assume the role. Johnson was also an essayist and poet. His most celebrated poetry collection is God’s Trombones, a series of seven poems capturing the style of black Southern sermons. In 1933 he wrote a genuine autobiography, Along This Way, which contains several chapters on his early life in Jacksonville. Johnson died in 1938 in a vehicular accident when his car was struck by a train. He was interred in Brooklyn’s Green-Wood Cemetery after a funeral attended by 2000 people. 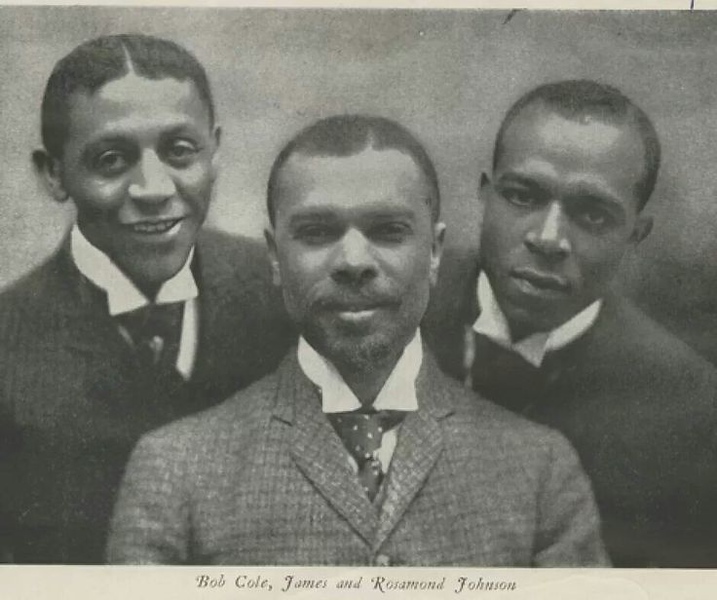 James Weldon Johnson is direly under celebrated in Jacksonville. James Weldon Johnson Middle School bears his name. The Ritz Theater and Museum features an animatronic exhibit, and locals periodically host a Heritage Tour, though most historic sites associated with Johnson, including his family home, have been demolished. 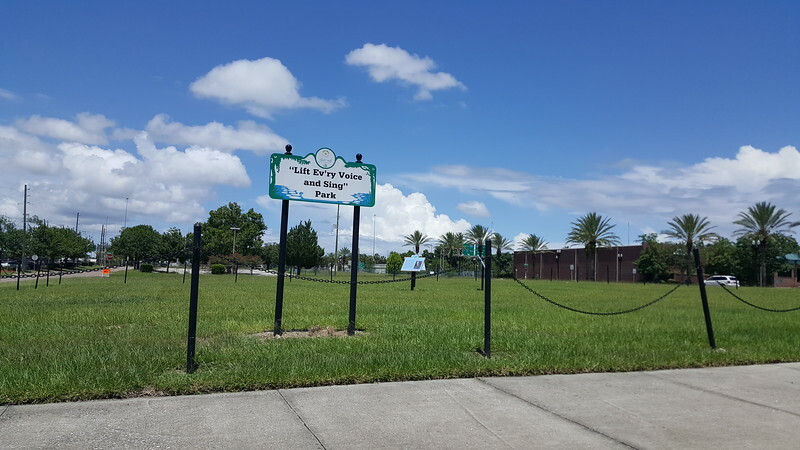 The City of Jacksonville named the Johnson family homesite Lift Ev’ry Voice and Sing Park, located at 120 Lee St., in 2015.